『售』麥威 iPhone 8 銀色 256GB iOS 11.1.1 台灣機!!! 『售』麥威 Apple Magic Mouse 多重觸控式無線滑鼠!!! 『售』麥威 iPhone 6S 玫瑰金色 16GB iOS 11.4.1 香港機!!! 『售』麥威 iPhone 5 黑色 64GB 台灣機 iOS 10.3.3 !!! 『售』麥威 iPhone 4 黑色 32GB iOS 7.1.2 !!! 『售』麥威 iPhone 4 黑色 16GB iOS 7.1.2 !!! 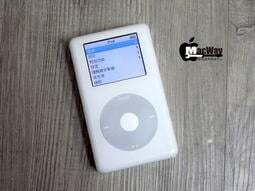 『售』麥威 iPod Photo A1099 60GB 有使用痕跡 經典款iPod彩色機!!! 麥威 Mac Mini A1347 升級計畫 2014~2015年款 加裝第二個PCIe SSD固態硬碟專用排線!!! 麥威 Mac Mini A1347 升級計畫 2011~2013年款 加裝第二顆SATA硬碟(SSD固態硬碟)專用排線! 麥威 iMac 27吋 A1312 2011年款加裝第二硬碟(SSD固態硬碟)專用排線 SATA13Pin轉22Pin! 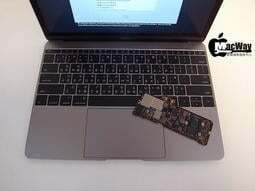 [台中 麥威蘋果] MacBook Pro 15吋 17吋 A1286 A1297 開機白屏 雜訊 破圖 顯卡關閉!!! 『售』麥威 Apple Magic Mouse 2 充電式無線滑鼠!!! 『售』麥威 Apple Magic Keyboard 充電式繁體中文無線鍵盤!! !